HER Realtors is holding open houses throughout the month of April 2013. I am holding an open house. 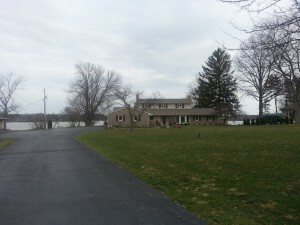 Westerville Waterfront WATER VIEW* Open House at 6599 Sunbury Road, Westerville, Ohio 43082 (just north of Maxtown Road in southern Delaware County, Ohio.) Open today, 2:00 to 4:00. It is not my listing. Ask what that means to you. There is a link in the sidebar on ColumbusBestBlog.com to the HER Realtors Open House List on my HER Realtors website. * Edit This house like other houses on reservoirs in central Ohio is is water view. There is a short strip of ground owned by Columbus around the reservoirs. The boundaries shows in the legal description, survey, etc.